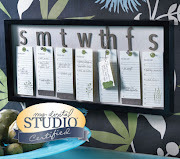 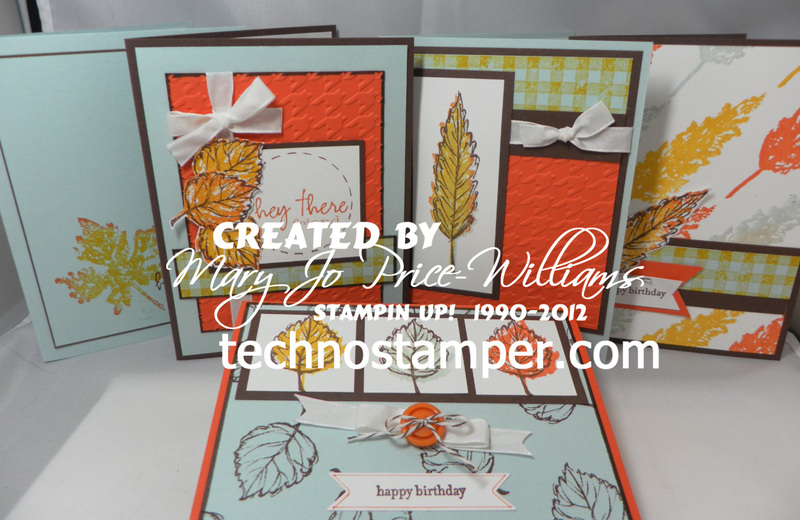 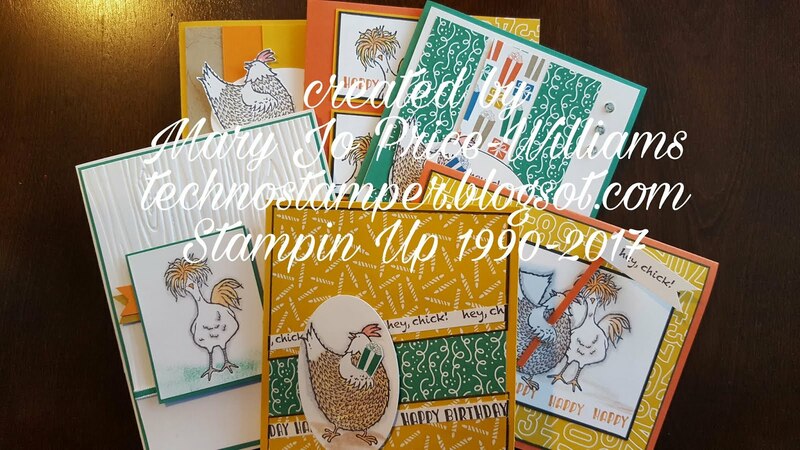 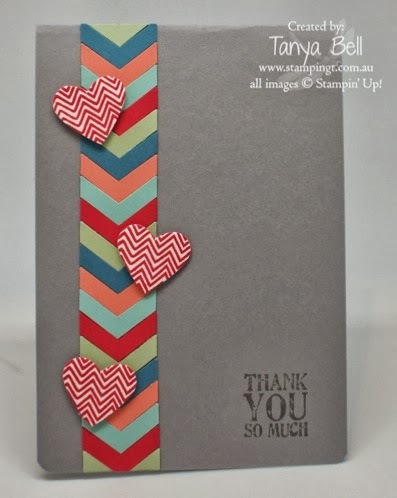 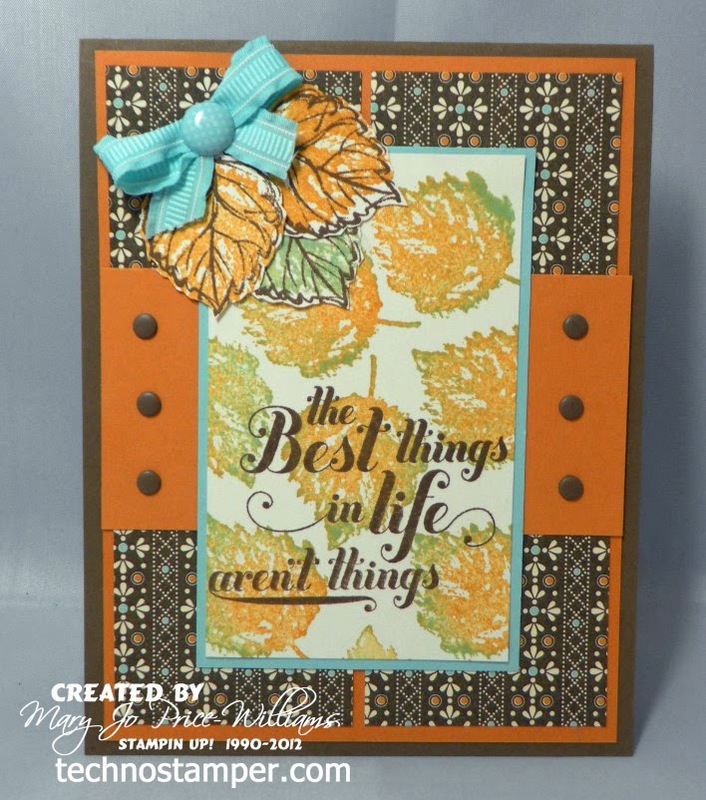 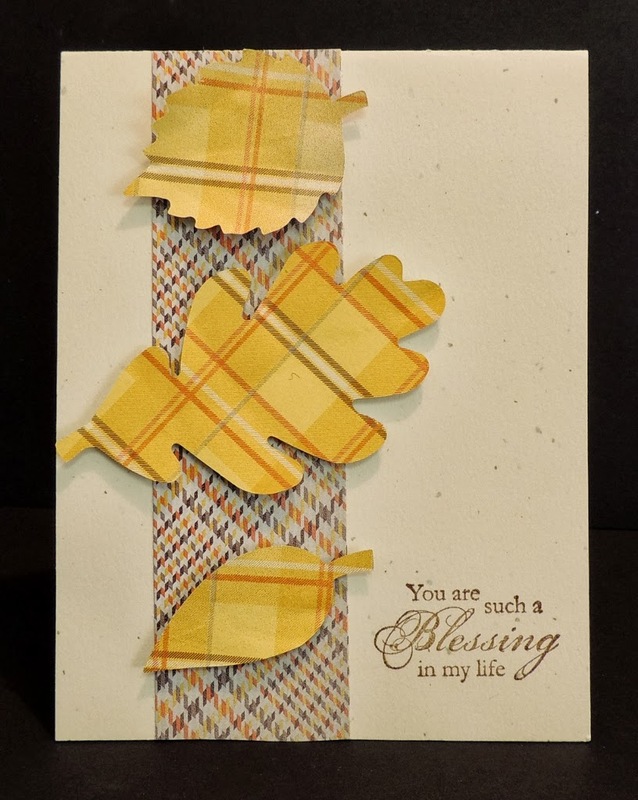 'And the added twist is to add orange on your sample---hence my card.....Which will also fit the LNS challenge for Fall Cards and the SU Only challenge for Harvest cards. 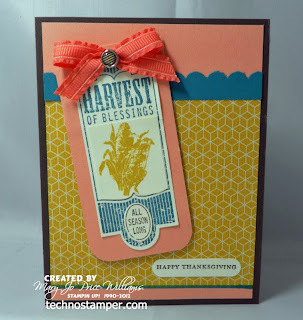 So there you have it--two Thanksgiving cards (yesterday and today). 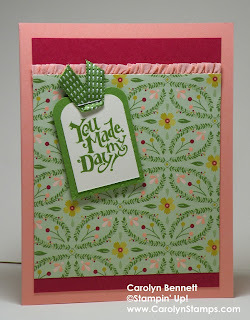 That is about the extent of that holiday for me, lol. 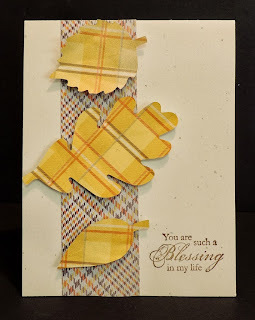 A BIG THANK YOU TO KIM FOR CREATING THIS POST! 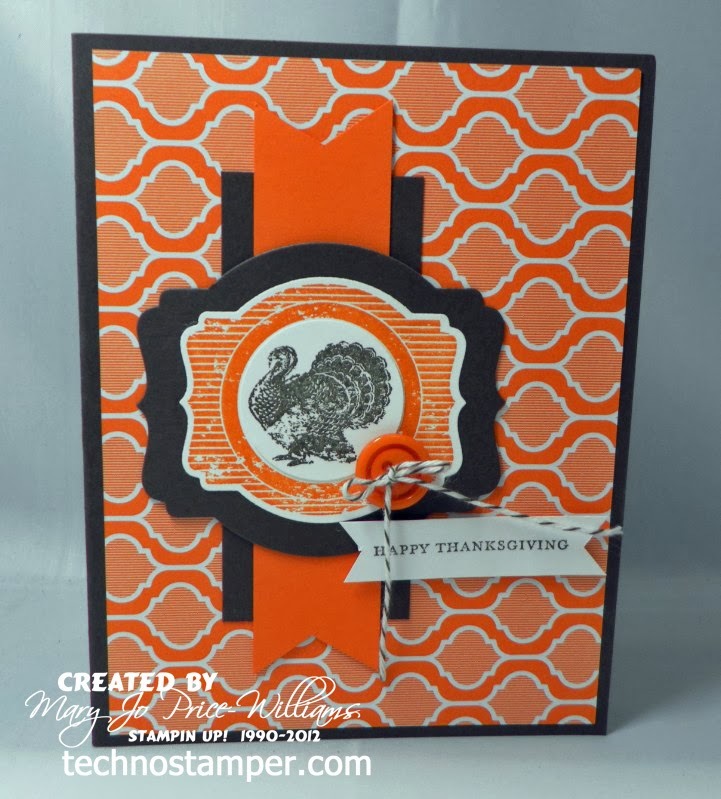 *Sold in old-style placon clamshell packaging. 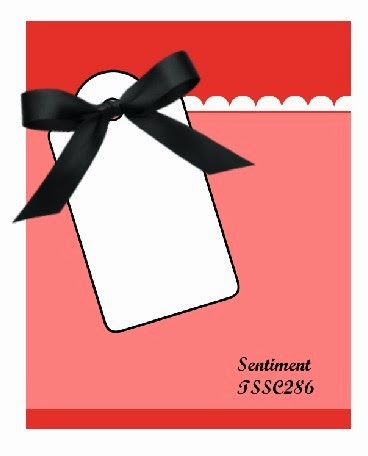 *Packaged individually in cello bag. 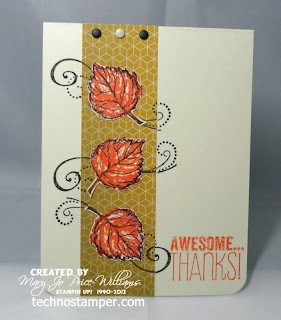 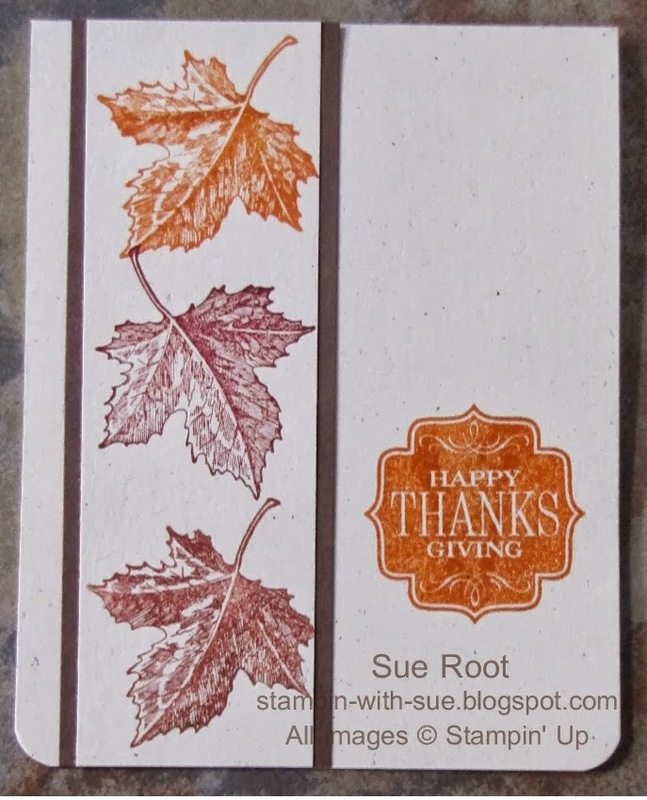 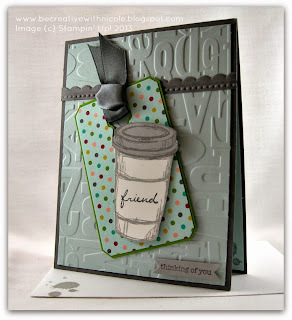 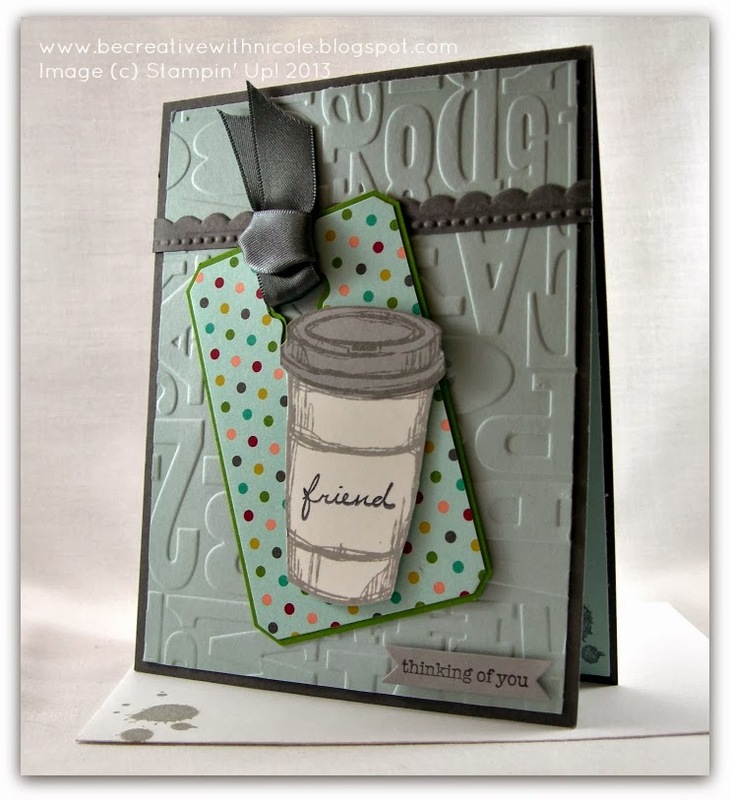 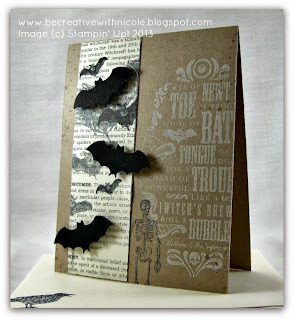 Sharing another card for the Latenightstamper's challenge to create Fall Cards. 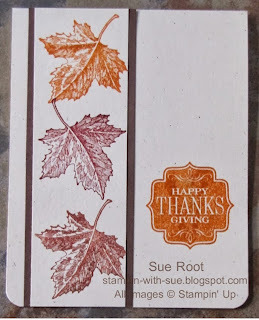 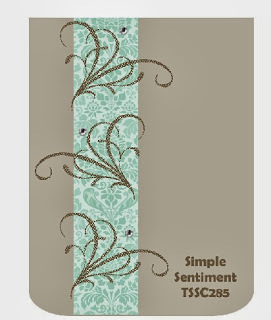 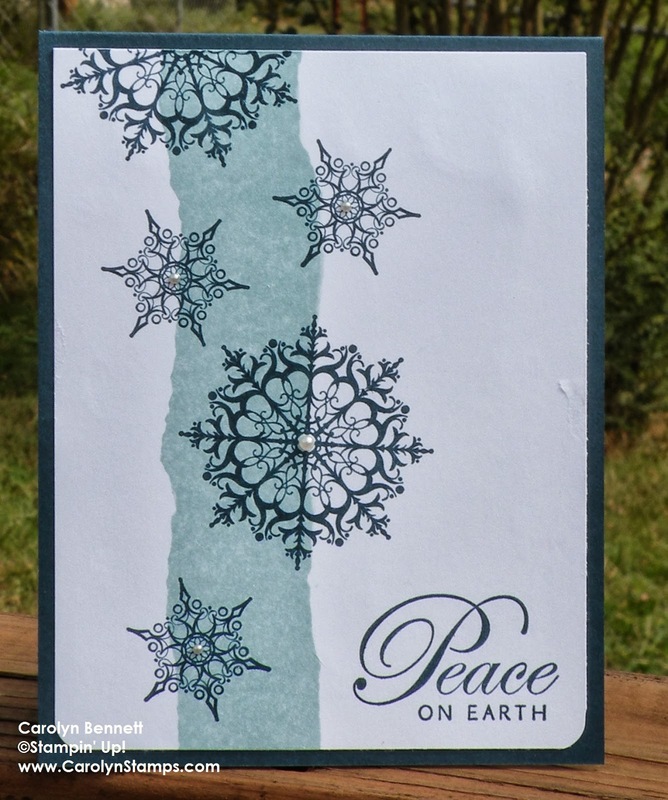 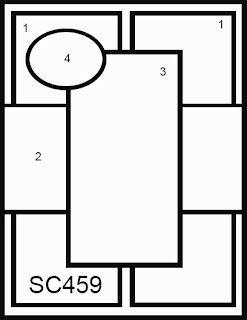 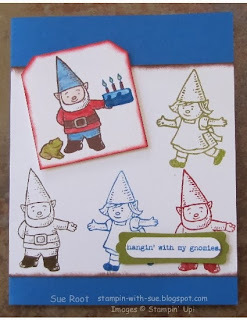 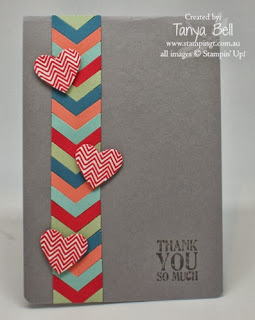 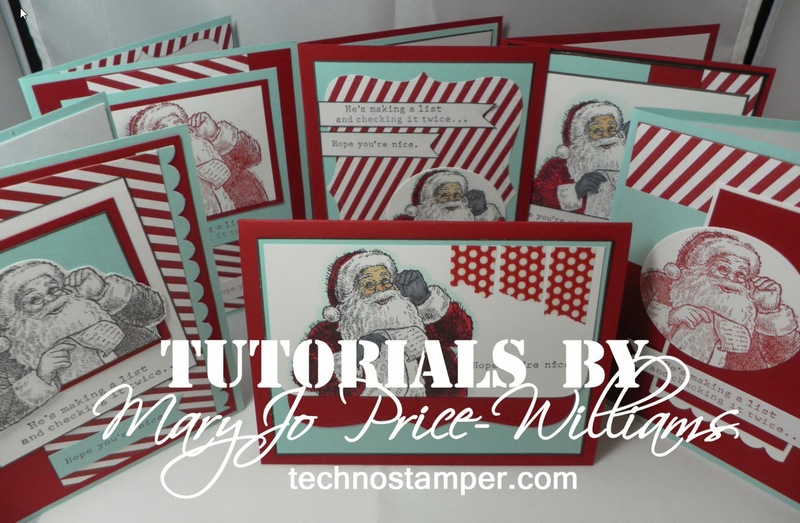 I used the sketch from Splitcoaststampers SC459. 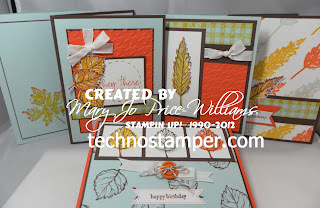 And some retired Autumn Spice dp to create this. 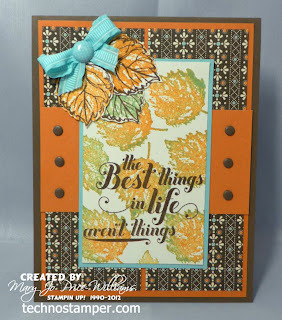 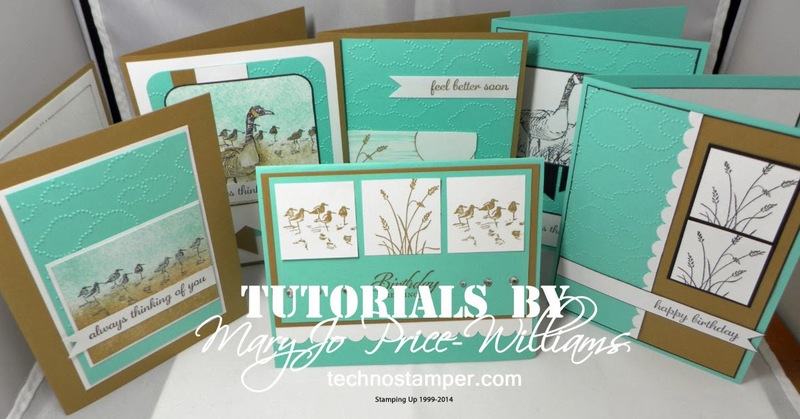 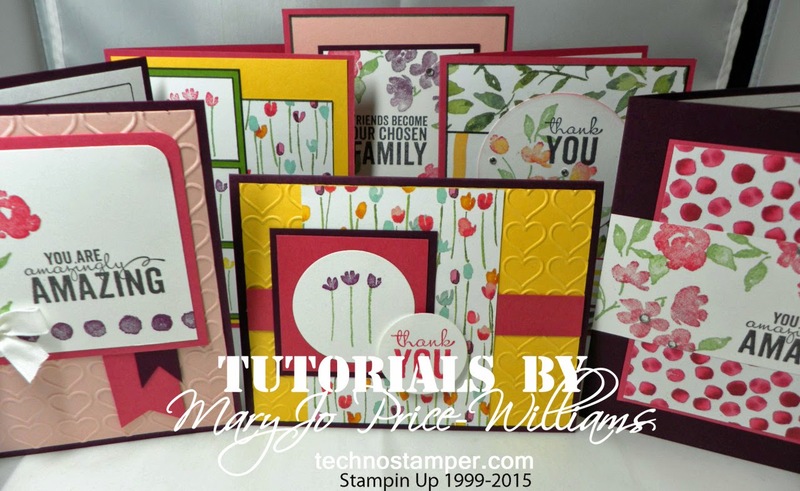 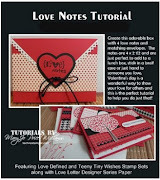 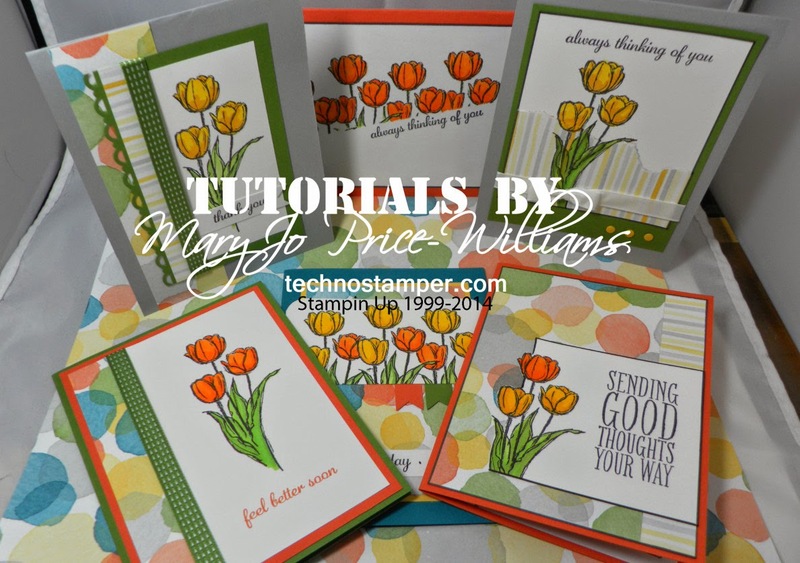 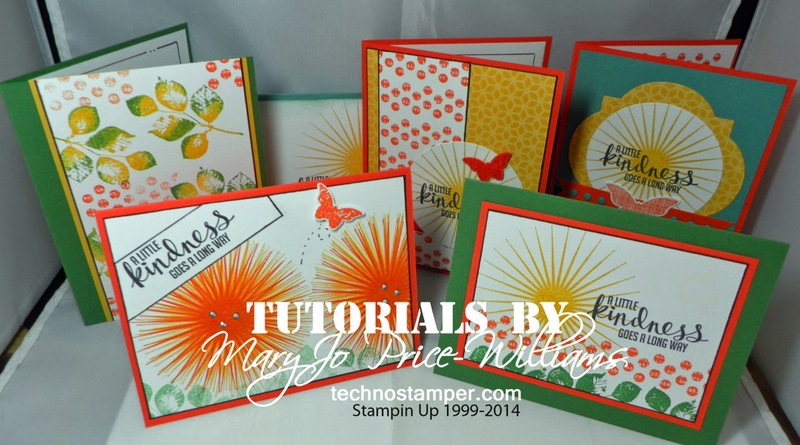 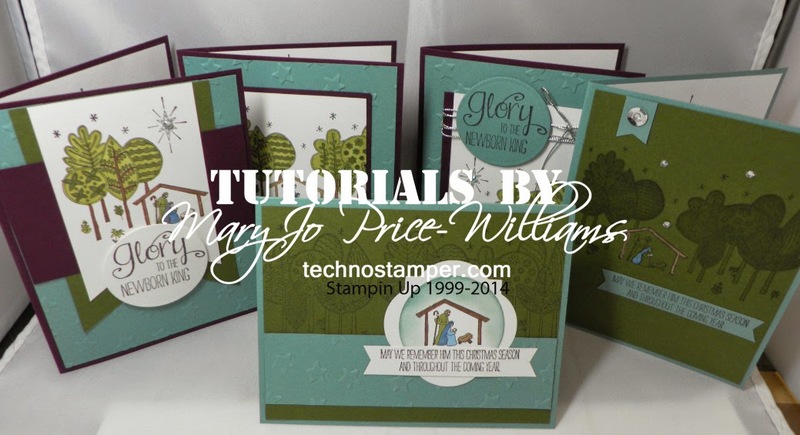 If you are looking for more ideas for Fall cards with the Gently Falling set check out my tutorial--click HERE. 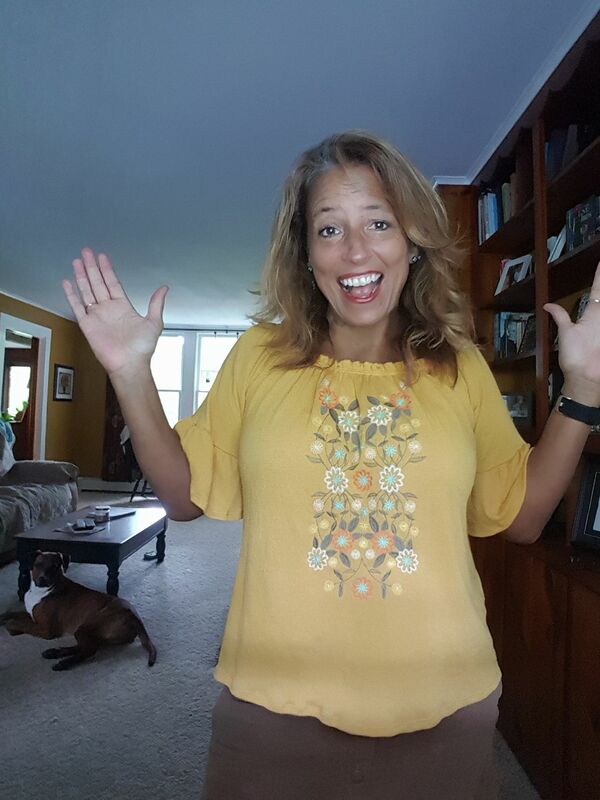 Other: ribbon, brad and of course my favorite candy dots!